Jews settled in Płońsk from the beginning of the modern age. Płońsk, which is documented as a fortress in the 12th century and was declared a city in the 15th century; its Jews dealt in loans and commerce at fairs in neighboring towns and cities. At the beginning of the 17th century, King Zygmunt I of Poland provided protection to the Jews against competition from outside traders. The Swedish occupation of the city in the 17th century caused a great deal of damage. When the Polish army returned to Płońsk, the Jews were accused of collaborating with the Swedes. The Jewish community was almost completely wiped out, and Jewish property was plundered and destroyed. The Jews of Płońsk declared an annual day of fasting in memory of the victims on the eve of the month of Shevat, and composed a special selichot service for that fast day, known as "Selichot Płońsk." The kings of Poland allowed Jews to build their own homes and stores, and conduct their religious lives. In the 18th century, the Jews were allowed to trade in grain, wood, livestock and other surplus agricultural goods produced on the surrounding estates. The Jews leased and managed some of these holdings. At the end of the 18th century, Płońsk was occupied by Czarist Russia. At the time, the city had some 3,800 residents, three-quarters of whom were Jewish. The city was set up as a Russian-ruled settlement, which led to its rapid development. Most of the trade and labor in the city was run by Jews and a Jewish farming community was established next to Płońsk, known as the Kochari Estate (Achuzat Kochari). During this period, Płońsk had its own rabbi – Rabbi Baruch Harif – and an ornate synagogue was built. During the 19th century, the Jews of Płońsk began to become involved in politics and to disseminate the "culture of enlightenment". Some Jews from Płońsk participated in the Polish Uprising of 1863. In 1865, the "Dorshei Hatorah Vehachachma" organization was established, in which the maskilim (members of the enlightenment movement) of the city gathered to study philosophy and foreign languages together. Płońsk also gave rise to one of the first branches of "Hovevei Tzion" in Poland. 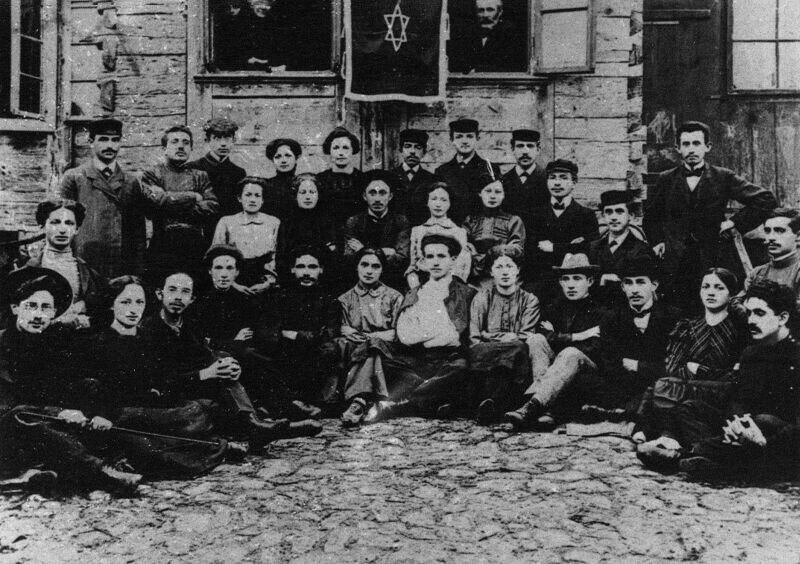 Towards the end of the 19th century, the first group of Zionists was formed, establishing the "Bnei Tzion" movement, which numbered 200 members within only two years. Young people joined the Hebrew language circle, and public libraries in Hebrew and in Yiddish were opened in the city. Author David Frishman wrote, "From the city of Płońsk, the Enlightenment went out to rule." 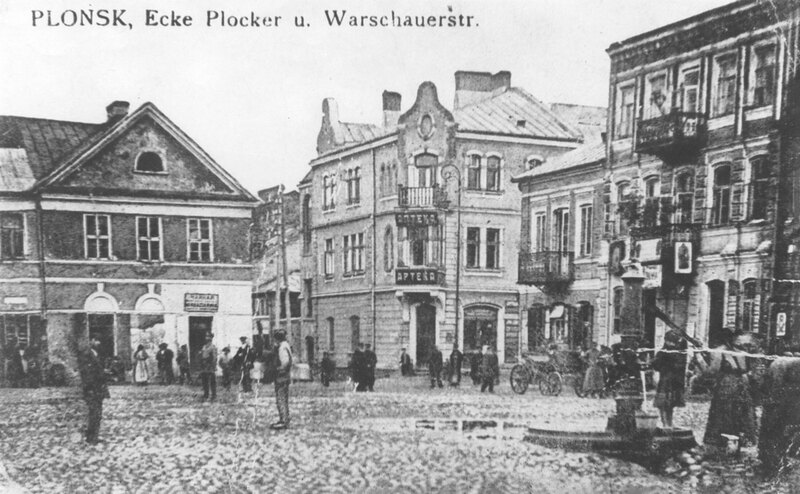 In the second half of the 19th century, Hassidism took root in Płońsk. 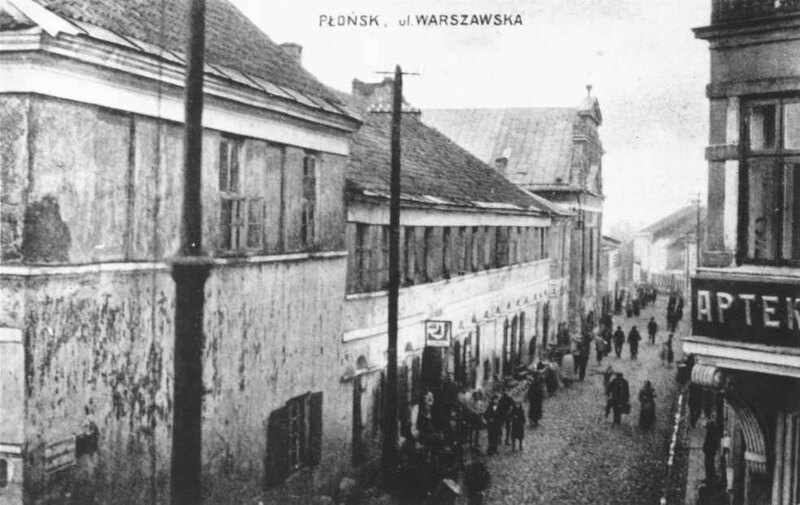 Groups of Gur, Alexander and Ciechanów Hassidim lived in the city, and kloizes (study halls) were established for the various Hassidic sects. Towards the end of the century, organizations such as "Kahal Katan" were set up, which aimed to educate the poorer strata of society. Activists organized learning groups for workers and manual laborers, and taught them Hebrew, Mishna, Agada, Jewish history and knowledge of Eretz Israel. The "Ezra" organization worked to disseminate the Hebrew language, and to teach Jewish history to children of the lower classes. Among the organization's founders was David Ben-Gurion (Grün), then 14 years old. Many of the organizations' activists were among the first emigrants from Płońsk to Eretz Israel. 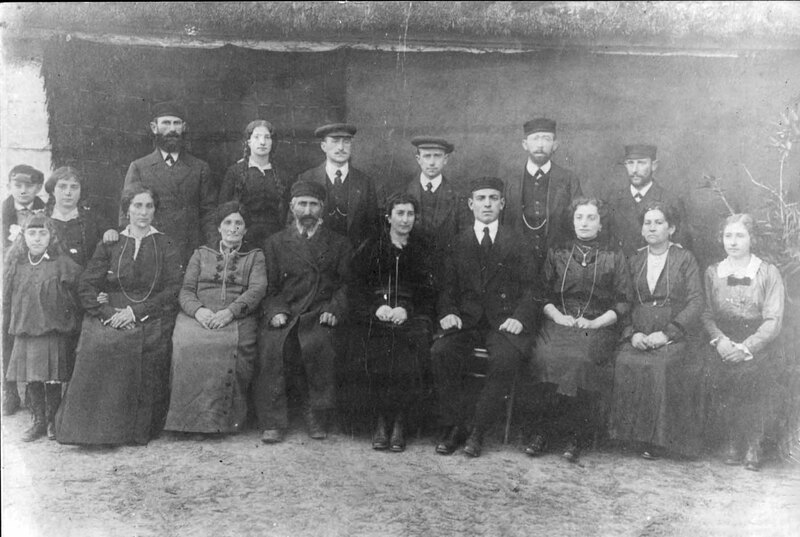 Płońsk immigrants were among the founders of the Negba, Ein Shemer, Beit Zera, Ein Hashofet, Sarid, Kfar Masryk and Mizra kibbutzim, among others. Nevertheless, during these years most of the Jewish children of the city continued to receive a traditional education and studied in private cheders and in talmudei torah (Torah schools for young children) run by the community. At the end of the 19th century, the city opened a primary school for Jewish children, where some 80 pupils, mostly girls, studied in Russian. Płońsk was bordered by great swathes of land, in whose poplar trees storks would nest. On the fringes of the city were the smiths, wagon-fixers and blacksmiths, as well as small farms owned by both Jews and non-Jews, surrounding the city with greenery, flowerbeds, and red and green fences. At the end of the 19th century, one third of all the houses in Płońsk were built from stone, and there were factories, workshops and a weather station. Roads and asphalt pavements were laid and inside the city were avenues of oak and chestnut trees, as well as ornamental gardens. At the turn of the century, there were two elementary schools, a high school, factories, a flour mill, a windmill and sports fields. More than half of the 8,000 residents were Jewish. 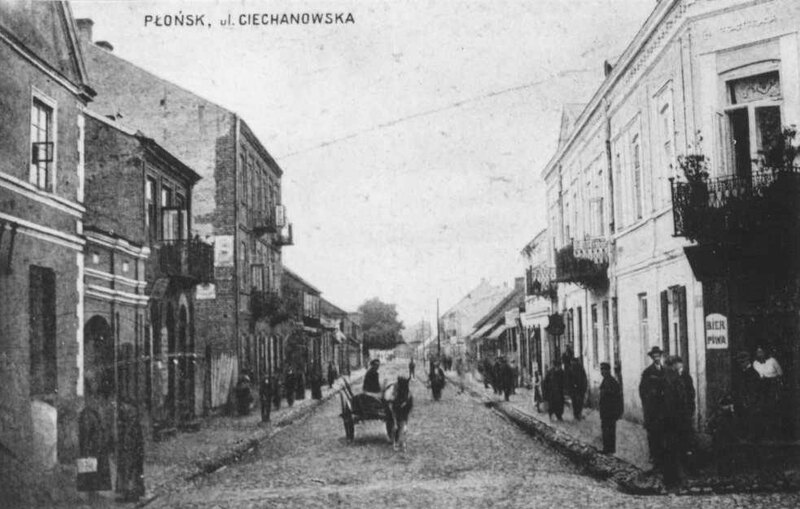 At the beginning of the 19th century, a unique experiment was carried out in Płońsk, then under Russian rule, to settle Jews in the villages and employ them in agriculture and factories. 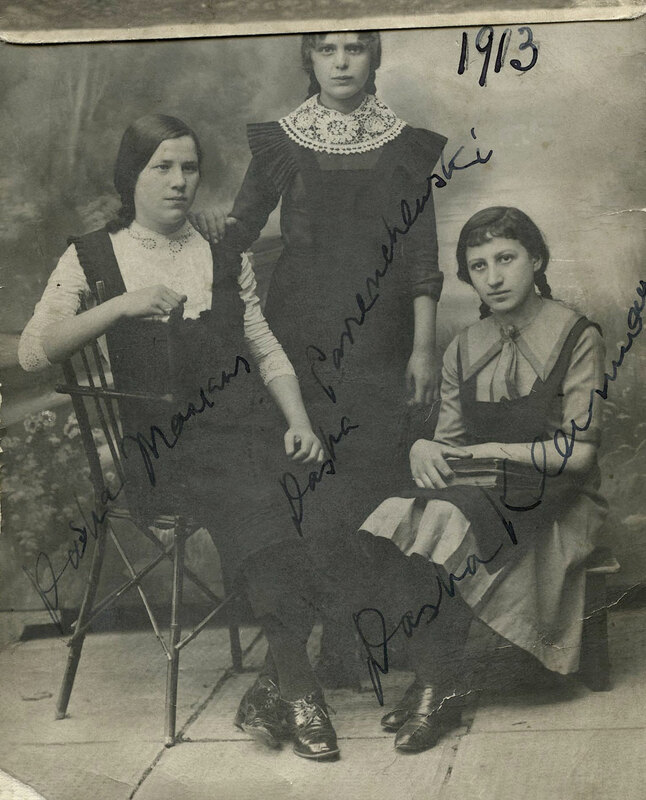 The initiator was Shlomo Zalman Marcus Posner, born in Warsaw, who bought the Kochari Estate as well as neighboring villages around Płońsk and established industries in which the Jews could work. At its peak, the Kochari Estate employed some 500 Jews, most of whom worked in the factories set up by Posner. They also established a yeshiva and a beit midrash. The story of the Kochari Estate is recalled in the book Bekfar Hanatush (In the Abandoned Village) by Mendel Man, who was born in Płońsk. In 1863, the Poles rose up against Czarist Russia. Among the Jews fighting in the Polish Berek Joselevich brigade (Jewish horsemen that had fought for Polish independence under Tadeusz Kościuszko at the end of the 18th century) were those hailing from Płońsk. The son of Shlomo Posner, who established the Kochari Estate, was killed during the uprising. 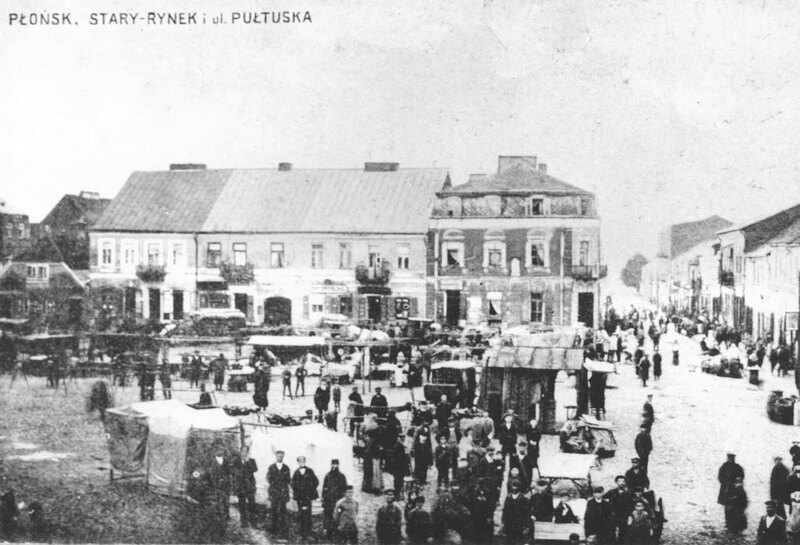 Russia suppressed the uprising and Russian troops entered Płońsk. The Cossacks imprisoned Rabbi Haim Hassid Segel, but after four hours he returned. He related that the Russian general had heard that he knew how to play chess, and had invited him to come to him immediately. When the Rabbi saw that the General was beginning to lose, he began to lose himself, out of respect for the General as well as for fear of beating a non-Jew. The General was so happy he let the Rabbi go free. Zvi Hirsh Halevi was a fervent mitnaged. His father-in-law Rabbi Isaiah built a beit midrash in Płońsk in 1802, decreeing that it was forbidden for anyone to pray there in any liturgy other than the Ashkenazi one. Despite this decree, Rabbi Zvi Hirsh did not hesitate to obtain approval of his writings in 1796 from the Hassidic rabbi Levi Yitzhak, purposely prefacing his name with "Hassid". This was clear testimony to the fact that at the height of the great dispute between the Mitnagdim and the Hassidim in Poland, in Płońsk, a community of Mitnagdim, there was no fear of receiving approval of an enthusiastic and zealous Hassid. The changes made to the prayers in the liturgical rite of the Ar"i did not arouse zealotry when prayers were said in private and not with a quorum or in public; the rabbis even permitted this rite for some special individuals. They opposed the change in their city and rejected it in public, but did not allow for any persecutions or excommunications and later on even married off their sons and daughters to the Hassidim.